Farewell to a Fantastic Intern! 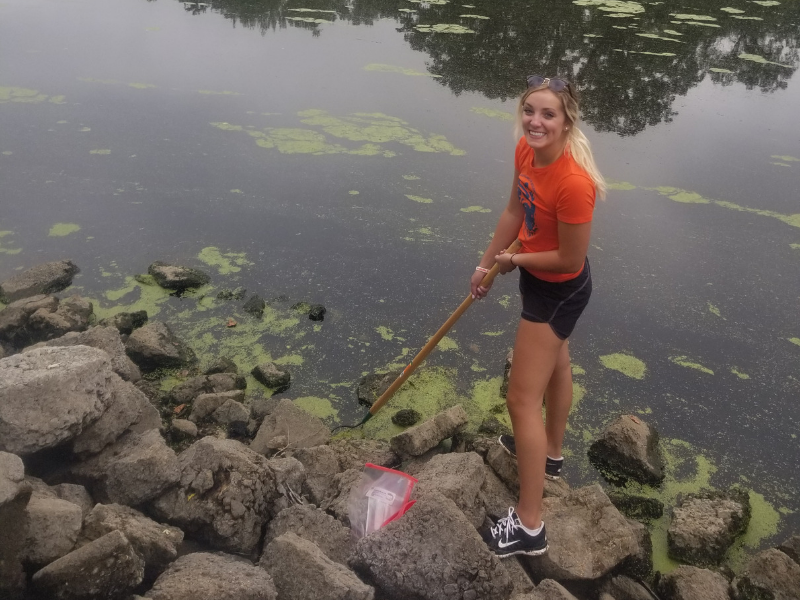 As the season shifts, we say farewell to Rachel Delwiche, our 2018 La Crosse Area Aquatic Invasive Species (AIS) Summer Intern. Rachel teamed up with Scott Caven (our Aquatic Invasive Species Manager) this summer to tackle AIS issues on the Mississippi River and major tributaries in western Wisconsin. 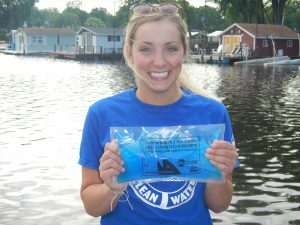 Rachel Delwiche, River Alliance’s 2018 La Crosse Area Aquatic Invasive Species (AIS) Intern, educating boaters and anglers at the 2018 Drain Campaign in La Crosse, Wisconsin. When asked to reflect upon her AIS Internship this summer, it was obvious that Rachel is passionate about preventing the spread of aquatic invasive species and doing her part to protect Wisconsin’s water resources. Rachel shared, “My favorite part about working as the River Alliance aquatic invasive species intern this past summer was easily the opportunity to talk with new people each day about AIS as well as their boating experiences. It was fun yet rewarding knowing the information I discussed with boaters has and still is helping to prevent further spread of invasive species. The friendly, laid-back atmosphere of the boat landings made it an enjoyable way to spend my summer, not to mention spending a bunch of time outdoors. 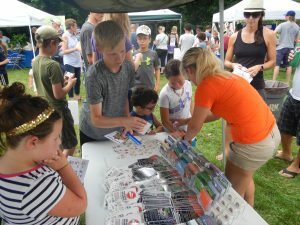 Another one of my favorite parts of the internship was attending Youth Outdoor Fest in La Crosse. It was super neat to see young children so intrigued by the specimens provided and it also felt great to inform kids about invasive species at such a young age. Thanks for all of your fantastic work this summer, Rachel, and for making a positive impact on western Wisconsin’s water resources and the greater La Crosse area!